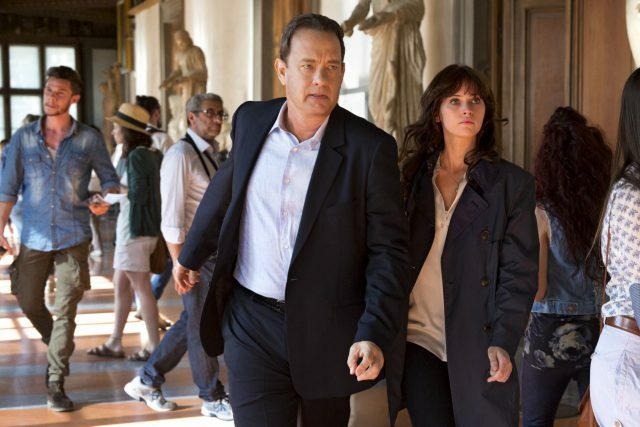 Ron Howard returns to direct Tom Hanks in a much more frenetic-paced Robert Langdon puzzle piece film than its predecessors with Inferno. Howard delivers high-contrast color visuals with a high-stakes story of human life while dipping his directorial toe into horror. The previous movies lack the sliding within the shades of gray in primary character motivations. Black and white drives do not exist in this two-hour journey. The movie eventually allows audiences to catch their collective breath towards the end of the second act. At the same time, the story misdirects due to Langdon’s amnesia. The audience learns finer details as Langdon recognizes small bits of information and remembers his path to an urgent care bed. Inferno provides the most humorous moments in the film series. Flashbacks and dream sequences plug holes simultaneous to Langdon’s reception of new information. The problem with them lies in the amount fat in them. While well placed, one plays longer than necessary. The biggest strength is the story and its reflection of Dante with correlation to the characters. Juxtaposed to the visceral race to the finish to save lives, exists a tenderness between individual characters including heartbreak. Its glaring weaknesses involve a lengthy flashback and a change in pace noticeable enough to warrant an early conclusion. Despite the massive adrenaline dump, it eventually returns to the opening motion picture movement. The horror helps sell the urgency of the matter at hand, though the sequences are not to the level of Blumhouse Productions. Leave your thoughts or theories in the comment section. Follow me on social media: @JohnWareJunior.